Most of the MCQs in Each Exam of FCPS Part 1 Dentistry come from the MCQs in this Book. 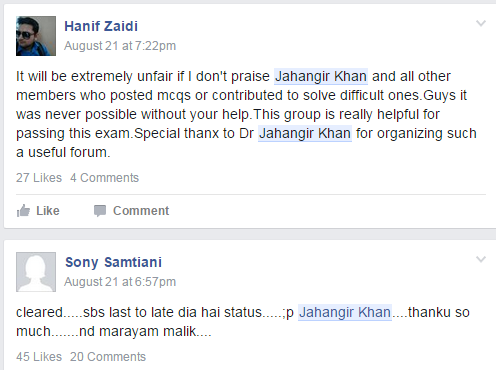 MCQs Book by Dr Jahangir Khan Tenth Edition is Available Now. This Book is available at Medical Book Shops in Peshawar, Rawalpindi, Lahore, Faisalabad, Multan and Karachi. We have worked hard to give you the exact MCQs which come in exam. 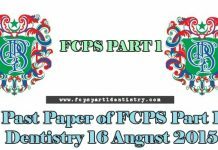 This Book will provide you an easy way to clear the exam of FCPS Part 1 Dentistry, as many MCQs repeats in exam. I will give you an example, Exam of FCPS Part 1 Dentistry in April 2015 and 2016 was a complete replica of Exam of November 2014 and November 2015 respectively. So all those students who read this Book they were able to clear the exam of April 2015 & 2016 very easily. Many students who were struggling for many attempts made it at April 2015 & 2016 attempt. So never think to skip this Book. Some times too many MCQs come from Past Papers and some times only few, but as i have told earlier that some times complete past paper come in the exam. If we talk about only few repeats, then i will mention one thing here, that these past papers will make you able to pick all important Points and Topics, so that you can easily read all those Points and Topics. These past Papers will make you able to select the Text Books. In short if you want an easy and precise method, you have to do this Book of FCPS Part 1 Dentistry. This Book is made for you people to gain maximum benefit from it. We are hopeful that this Book will give you the best in Exam. we are sure that there will be no alternative of this Book. 2) Subjectwise MCQs of Oral Pathology, Oral Biology & Morphology and Dental Materials. 6) Random Pearls of Dental Materials. 19) Exam Experiences by Passing Candidates. All Past Papers of FCPS Part 1 are present with correct Keys in the Book. 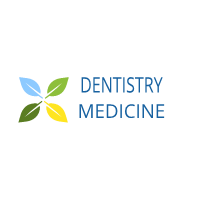 MCQs Book For FCPS Part1 Dentistry compiled by Dr.Jahangir I followed ur book thoroughly this book contains all past paperz.it helps to understand to the aspirants the criteria and pattern of paprz.It gives reference to the main topics of subjects from which questions are being repeated… I advise the candidates to purchase this book bc CPSP always repeats some of questions from past paprz.but its not a certainty that paprz will be repeation of past paprz but its all about luck.. 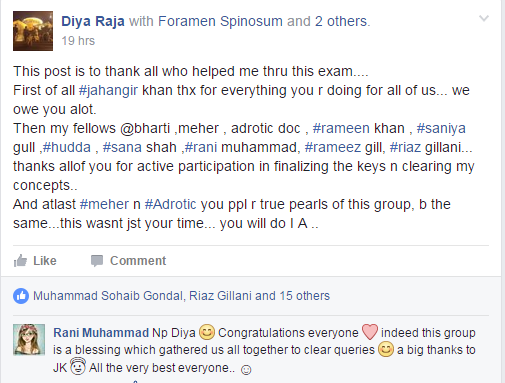 I appreciate and adm ire the efforts taken by Dr.Jahangir who compile and collects the questions and gives rite answerz for the bebefits of upcoming candidates.. Its a great work.. By…Dr.Ramila. and Many more like these are the true reflection of this Book. 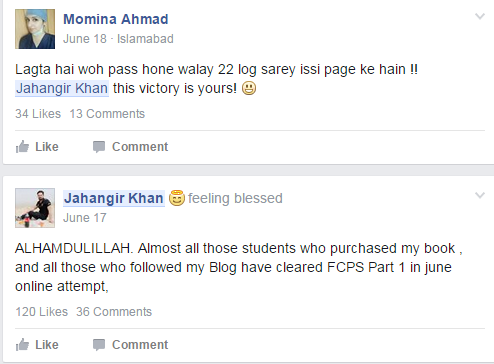 Can someone please share the link of Facebook page of Dr Jahangir’s FCPS group??? Also what if I want to buy the book online??? Cannot find any option of buying it. 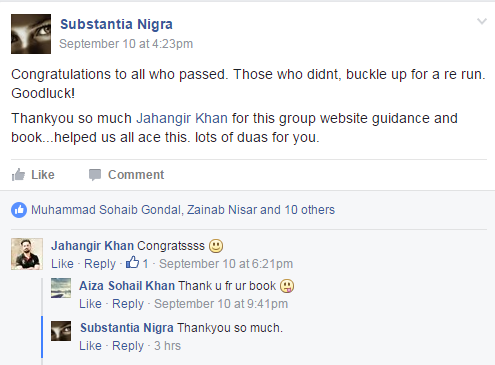 Can someone provide me the errata to Jahangir Khan 10th edition.